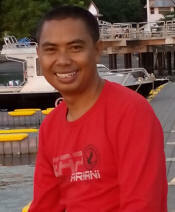 Lombok has a rich and enduring indigenous culture that has withstood the pressures of modernity remarkably well. The strong remnant culture and history of the Sasak people is one of the many unique attractions of the island. The island has of a total population of 3,311,044 (as of 2014 Census), 85% are indigenous Sasak people whose origins are thought to have arisen from Java in the first millennium BC. Other residents include an estimated 10–15% Balinese, with the small remainder being Tionghoa-peranakan, Javanese, Sumbawanese and Arab Indonesians. The Sasak people are culturally and linguistically closely related to the Balinese, but unlike the Hindu Balinese, the majority practice local Muslim faith and traditions. 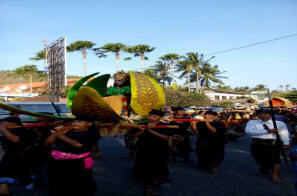 One very common cultural Lombok event is the street processional following a wedding ceremony. Nyongkolan is a highly-structured procession of ordered tiers including Pemucuk, or the entourage of the family of the bridegroom's parents; Penglingsir and Pawongan, or religious, community and custom leaders; Karas, or bearers of woven bamboo containers with the bride's favorite items; and the bridal entourage flanked by "troops" carrying traditional spears. Malean sampi (cows race))From many festivals that are celebrated in Lombok, the Male'an Sampi Festival of Lombok is a famous one that is celebrated with much so fun. 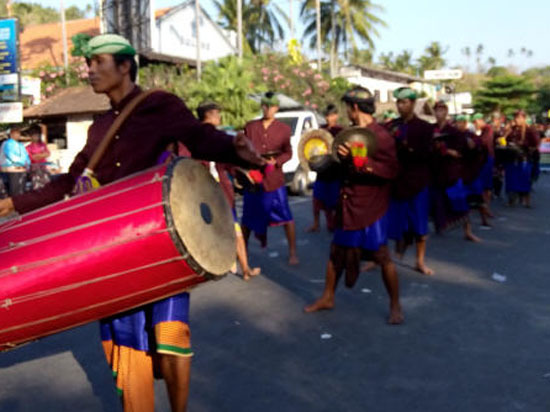 The Male'an Sampi Festival of Lombok is unique for the reason that unlike other festivals, the Male'an Sampi Festival of Lombok is a power-charged game ritual. People have been known the Male’an Sampi Festival since 18 century in the government of Japan era in Indonesia. The Presean cultural is already known from Lombok Sasak society for generations, originally a part traditional ceremony of the happiness of soldiers in Lombok Kingdom when they get won in a war and a ritual ceremony to invoke the rain as drought. As well as its historic associations, the fight also serves to ask God for rain for the imminent planting season with the ancient belief being that the more blood spilled, the more rain would follow. 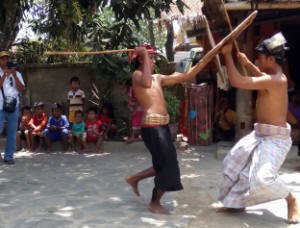 Presean fighting now it’s become part of tradition and entertainment culture performance in Lombok more info. One of Lombok’s most important and popular festivals is Bau Nyale, meaning “to catch the sea worms” in local Sasak language., the Nyale is sea worms in a variety of colours are brown or pale cream to red and green.